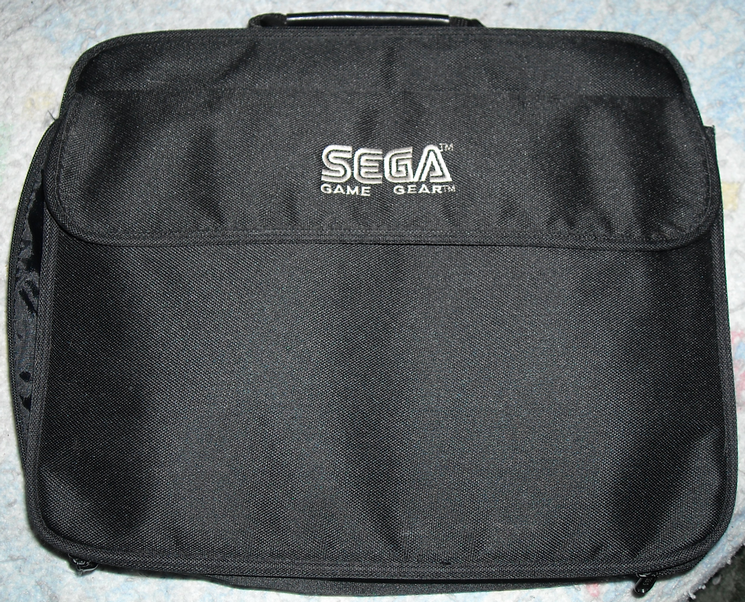 Along my thrift outings I’ve ran across a handful of old Sega Game Gear bags. I’ve only managed to find one with the insert to hold my Game Gear and it’s accessories, with being the only one I’ve found it took that job by default. But what do I do with the other bags without the inserts? Being a, self proclaimed, MacGuyver of retro gaming items, I feel as though I’ve found a solution to my problem! I can’t just leave a Sega Game Gear sitting in such a large bag without proper protection, so I’ve chosen another Sega system to take it’s place. Perhaps you could say its keeping it in the family, my Sega Saturn. The Sega Saturn fits perfectly, as does a controller or pair of controllers. 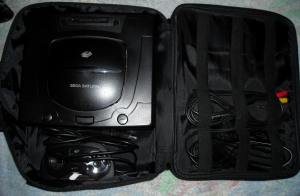 The AV cable and power cord, once wound up, fit perfectly where game cases fit in the upper part of the bag, which leaves two compartments on the front and back for games, or anything else you need to carry along with your Sega Saturn. 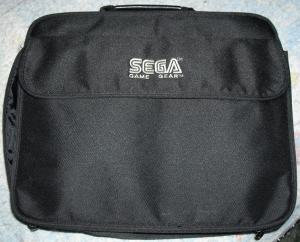 So if you ever run across one of these bags without the Game Gear insert don’t just pass it up, take it home, give it a cycle through the clothes washer and once it’s dry pack away your Sega Saturn!